Eucalyptus Benefits and Homemade Remedies! Discover Eucalyptus benefits with homemade remedies! There are over 700 species of Eucalyptus plants. The Eucalyptus tree is aromatic. It grows in various sizes and shapes, depending on its environment or region. It can grow tall or spread out into a bush. It prefers moisture and clusters around waterways or springs. 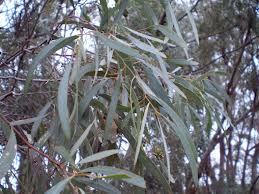 Eucalyptus oil is extracted from partially dried leaves and young twigs, by steam distillation. The oil is clear to pale yellow in color with a watery, thin, consistency. It has a sharp, invigorating, scent varying from mild to strong. It’s cooling to skin and warming to muscles. 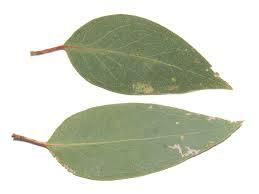 Eucalyptus is used extensively. It improves conditions of the body, skin, hair and scalp. In very small portions, it’s used in food supplements, cough drops, toothpastes and decongestants. 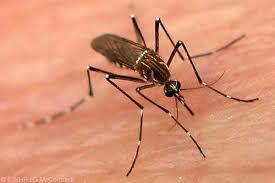 It’s an active ingredient in natural mosquito repellent. CAUTION! Eucalyptus oil is flammable and can be toxic in large quantities. Avoid eucalyptus if you have high blood pressure or epilepsy. Excessive use may cause headaches. It should always be diluted with water or some other buffering agent. It should never be used at full strength, orally or topically. Learn all about essential oils before using. 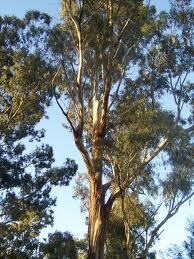 EUCALYPTUS BICOSTATA: Also known as Southern Blue Gum, Blue Gum, Eurabble or Victorian Blue Gum. 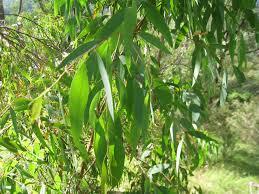 Has high levels of eucalyptus and alpha-pinene. Invigorating aroma. Supports normal breathing and soothes tense muscles. 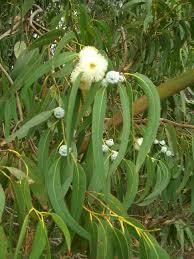 EUCALYPTUS CITRIODORA: Known as Lemon Eucalyptus Oil. Seen in fragrance industry or as an addition to natural mosquito repellent. EUCALYPTUS DIVES: Known as Peppermint Eucalytups Oil. Refreshing, uplifting earthy scent, with soft woody tones. Excellent choice for topical use and massage formulas. Used in diffuser to support normal breathing conditions. EUCALYPTUS GLOBULES: Commonly known as Eucalyptus, Tasmanian Blue Gum, Southern Blue Gum or Blue Gum oil. Primary source of eucalyptus oil with China being the largest commercial producer. Has a fresh penetrating scent. Has high percentage of eucalyptus. 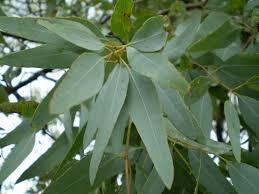 Tasmanian blue gum leaves are used in herbal tea. This evergreen tree is native to Australia and widely cultivated. EUCALYPTUS POLYBRACTEA: Known as Blue Mallee. Has very high levels of cineole, (ingredient primarily used for flavoring or medicinally). One of the strongest eucalyptus oils. Has high eucalyptus content, up to 95%. Fresh, camphor aroma with slight peppermint undertones. Primarily used for topical applications or diffusing. EUCALYPTUS RADIATA: Known as Black peppermint Oil. Soothing for arthritis, cold spores, bronchitis, fever, flu and coughing. EUCALYPTUS STAIGERIANA: Known as Lemon Ironbark Oil. It is not rich in cineol, so it can used on sensitive skin. 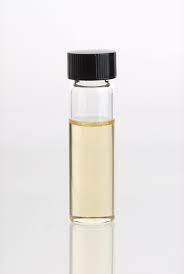 Has a light fruity lemon scent, gentle camphor with rosemary like undertones. Gentle and relaxing. Suitable for all ages, even children. Ideal for relieving cold and flu. Treats everyday aches and pains. Treats cuts and minor skin wounds. Lovely scent used to purify rooms. (Avoid nut type carrier oils, if you have nut allergies). - Place 1-2 drops diluted oil in handkerchief. Inhale periodically. - Place 1 drop of diluted Eucalyptus Oil on pillow. Inhale while sleeping. Mix 5 drops of Eucalyptus Oil to shampoo. Massage into scalp. Let stand 2-3 minutes. Rinse with water. "Antibacterial" commercial soaps can cause poor skin conditions. Harsh, manufactured, ingredients strip away antioxidants, leaving skin vulnerable for free radical generation. Skin looks aged with wrinkles, fine lines, dark spots, discolorations and uneven skin tone. A homemade soap with Eucalyptus Oil is, naturally, antibacterial. Stop the spread of germs. Soothe psoriasis or dry itchy skin. Combat acne. Speed healing of minor skin wounds or insect bites. A natural goat milk soap, with Eucalyptus Oil, benefits skin, hair and scalp conditions! Complimentary scents to Eucalyptus: Benzoin, Thyme, Lavender, Rosemary, German Chamomile, Fermium, Peppermint, Lemongrass, Lemon and Pine. DIRECTIONS: Learn how to make soap using the melt and pour method. Mix all ingredients by stirring vigorously. Pour into prepared soap making molds or hand mold into various sized balls. Depending on how much extra oil you add, it usually takes a couple of hours for soap to set up. Use after soap hardens. Congratulations on making homemade soap! HAVE YOU CHECKED AMAZON, YET?